On May 17th, 2015, Vladimir I. Starodubov, Editor-in-Chief of the "Social Aspects of Population Health" Journal, the Honored Physician of the Russian Federation, Doctor of Medical Sciences, Professor, and Member of the Russian Academy of Sciences celebrated his 65th birthday! 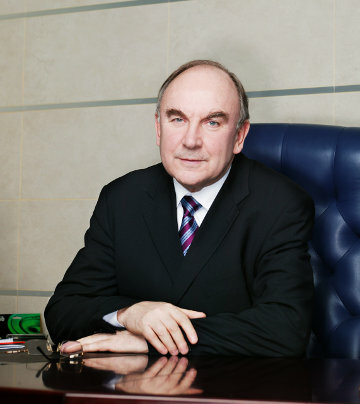 Dr. Starodubov’s great contribution to the development of public health and medical science and many years of fruitful work were acknowledged by the Order of Service to the Fatherland, 4th degree; the Order of Honor; the Medal for Good Service in Commemoration of the 100th Anniversary of the Birth of V.I. Lenin; the Labor Merit Medal and the Medal in Honor of the 850 Anniversary of Moscow and the Excellent Healthcare Professional badge. In 1999, the hero of the anniversary was awarded the title of Honored Doctor of the Russian Federation. The "Social Aspects of Population Health" Editorial Board congratulates Vladimir Starodubov, their Editor-in-Chief, wishing him health, happiness and dynamic creative way of living.